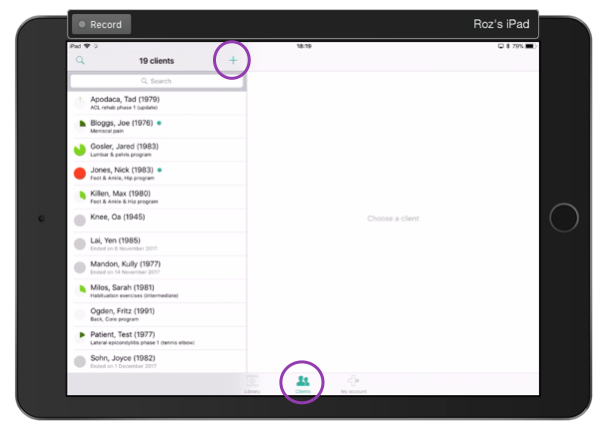 If your EMR (electronic medical records) integrates with Physitrack, all of your patients will automatically appear in your Physitrack Clients menu. 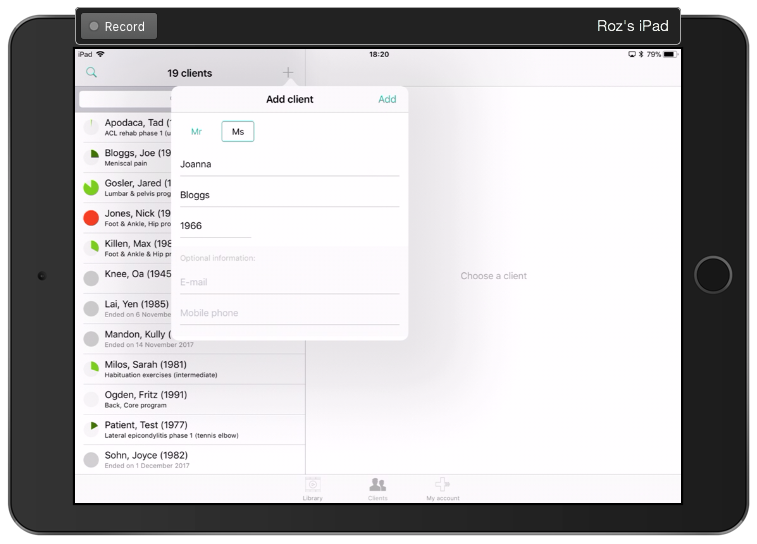 Go to Clients at the bottom of your screen. Tap on the "+" symbol at the top of your screen. 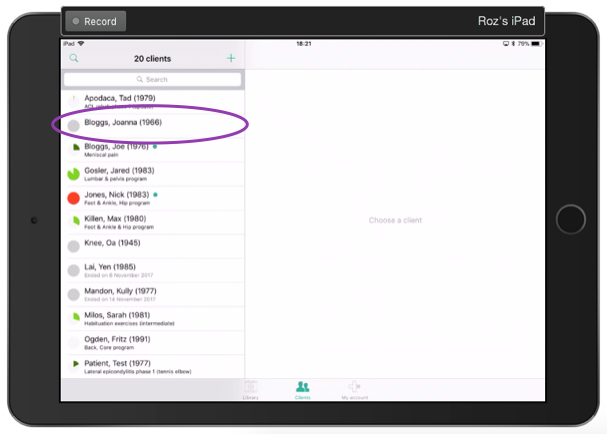 Enter the details for your new client, then tap "Add" to add this patient to your Physitrack caseload. This client will now appear in your list, along with all your other patients ready to have a program assigned!